Herbs are not just plants that are used to beautify a space. They are used in a number of different ways, including cooking and to treat illnesses. There are many herbs that have therapeutic qualities associated with them. They have been used for thousands of years in all types of cultures to help cure ailments such as depression and insomnia, along with other issues. However, people should also realize that although herbs are derived from natural plant sources, that doesn’t necessarily mean they are safe for everyone. Care and consideration, along with a certain amount of research on the part of the user should be done to make sure that herbal remedies are the right answer. Stress is unfortunately commonplace in almost everybody’s life. It can take a toll on the immune system, lead to lower energy levels and have a negative effect on diet and digestion. However, Digestive Bitters Compound can help aid with digestion in a number of ways. In order to get the most benefit, it is usually taken directly before a meal. This helps to stimulate the digestive enzymes within the body. In order to get the most out of the food ingested into the body, the liver and the gallbladder both need to be working effectively as well. Bitters can help stimulate both of those organs in order to ensure they will do what they need to do in order to help the body with waste removal. A lack of appetite due to illness or stress can have a detrimental effect on the body. After all, the body needs food in order to produce energy and thrive. Therefore, it is important to keep the digestive system running smoothly. Many of the common herbs found in Digestive Bitters Compound are associated with helping the various organs within the digestive system do their jobs effectively. Examples of those herbs are Gentian root, Angelica root and Juniper Berry. Other common herbs included in some tinctures of Digestive Bitters Compound are Peppermint, Dandelion Root and Orange Peel. The different combinations of herbs work together to help reduce nausea and stomach upset while stimulating digestion. Many foods and common medications can inhibit the body’s ability to remove waste effectively, which is also known as constipation. This can be an extremely uncomfortable condition. However Digestive Bitters Compound helps to support the body by stimulating the digestive tract in order to help move waste along through the body, therefore reducing constipation and helping the digestive tract become more efficient. Although herbal remedies can be used to treat certain conditions, they should always be used with care. Following the recommended dosage guidelines is important, as an overdose can cause serious illness. The positive effects of most herbs are often seen when they are used on a regular basis in order to promote continued good health. It is also a good idea to make sure that they are safe to take with other supplements and medications, as there are certain herbs and prescription drugs that should not be taken together. 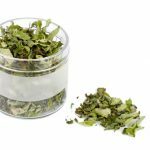 Overall, the positive effect of herbs has been well documented and new research is continually being done in order to make sure they are safe and effective.